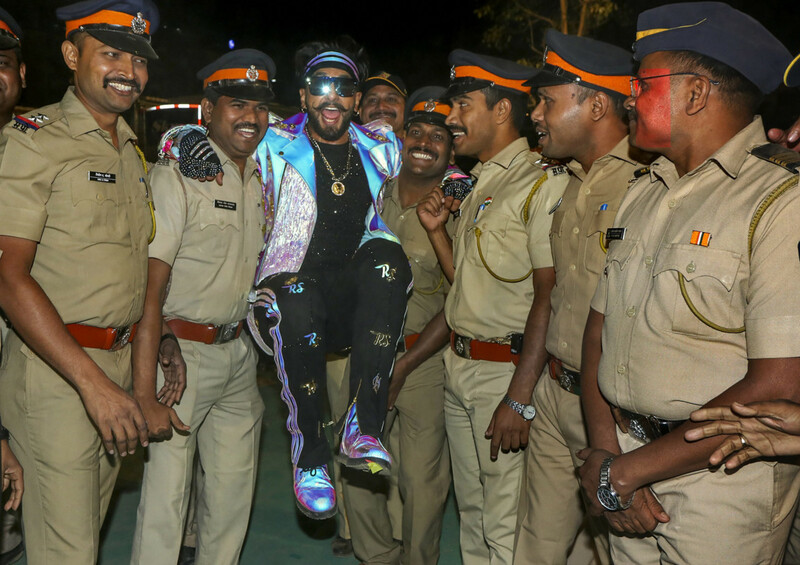 Bollywood star Ranveer Singh has been trolled after he posted a photograph with several police officers and constables at the Umang 2019, an annual cultural event organised by the Mumbai Police, on Sunday night. In the picture, the actor can been seen being picked up in the air by the men in uniform. Some on social media took offence, saying that the ‘Simmba’ actor has disrespected the officials. Actress Vaani Kapoor, who starred with Singh in ‘Befikre’, came to his defence. “That’s typical Ranveer Singh for you. I feel everybody gets trolled. There is no one who hasn’t got trolled on social media. I guess trolling has become a norm of social media where people enjoy belittling everybody,” Kapoor said. “Everybody is out there to pull the other person down but it will only bother if you let it bother you,” added the actress. Umang saw a number of stars honouring the police force. Actors including Ranbir Kapoor, Alia Bhatt, Shah Rukh Khan, Vicky Kaushal and Katrina Kaif attended the ceremony and put on elaborate stage performances. Singh made a dramatic entry in a psychedelic silver jacket atop an SUV before hitting the stage to dance to his hit songs.